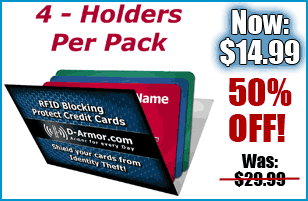 Protect your cards or whole wallet from Electronic Pick-pockets. 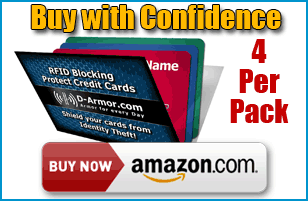 Buy with confidence on AMAZON! Your Credit Cards, Identity and Credit Score are at risk. What you can do to protect yourself. All the goods for the press. This is a great little video showing how easy it is to steal Credit Card information without even having to pick your pocket or even touch your wallet. 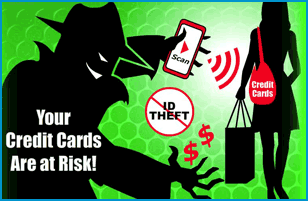 This quick proven method protects your credit card number from theft while you shop! Thanks to Matt Granite for his post on YouTube. We love his confidence in our RFID Blocking products.